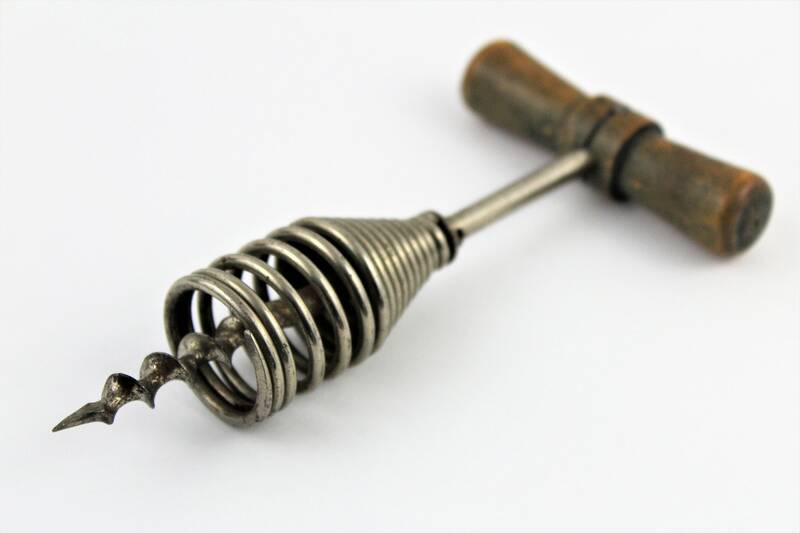 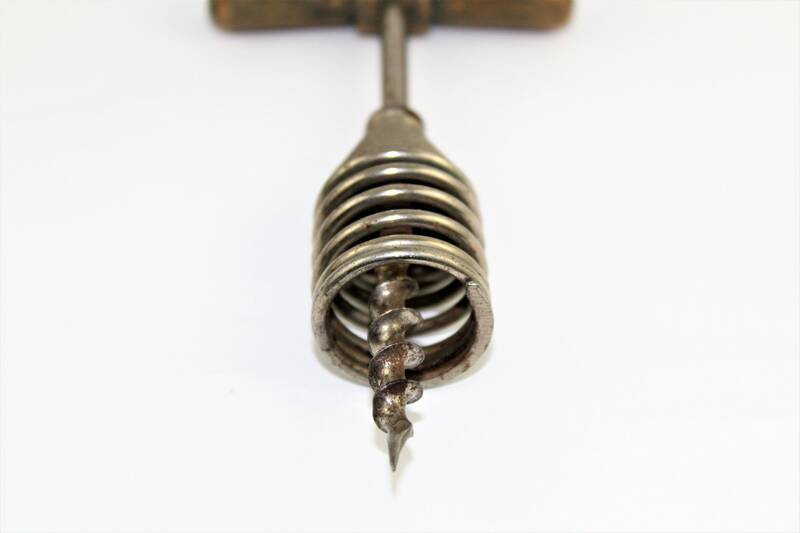 We have for sale an Antique 1905 French Spring Barrel Corkscrew with Unusual Beehive Spring. 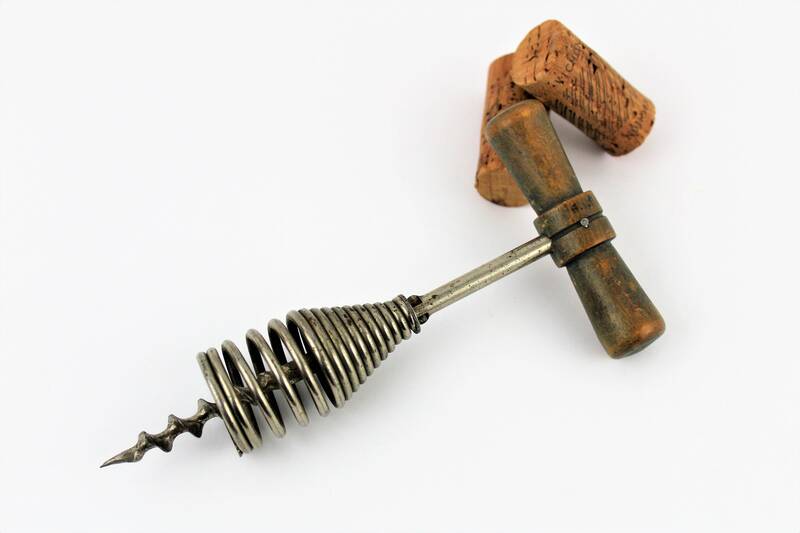 Wonderful Spring Barrel Corkscrew made by Moise & Roland Coville. 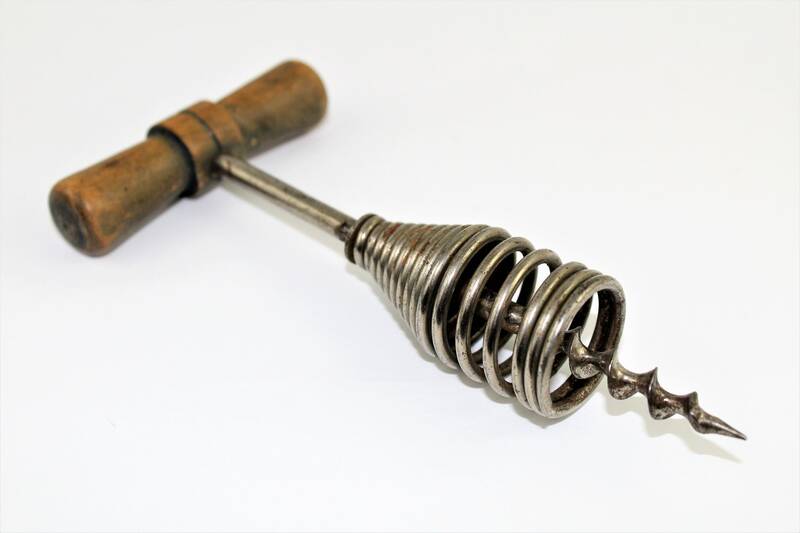 The spring help pull the cork from the bottle the farther you screw into the cork the more pressure is put on the spring causing it to pull the cork. 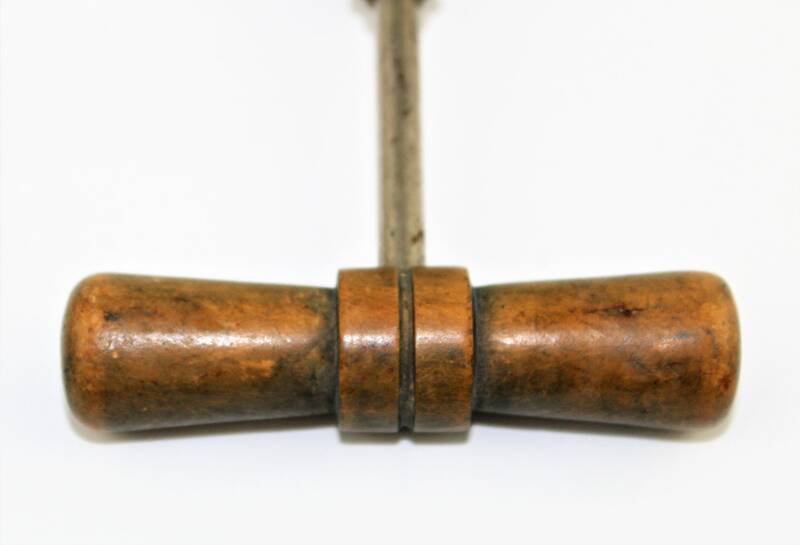 Manufacturer; Moise & Roland Coville. 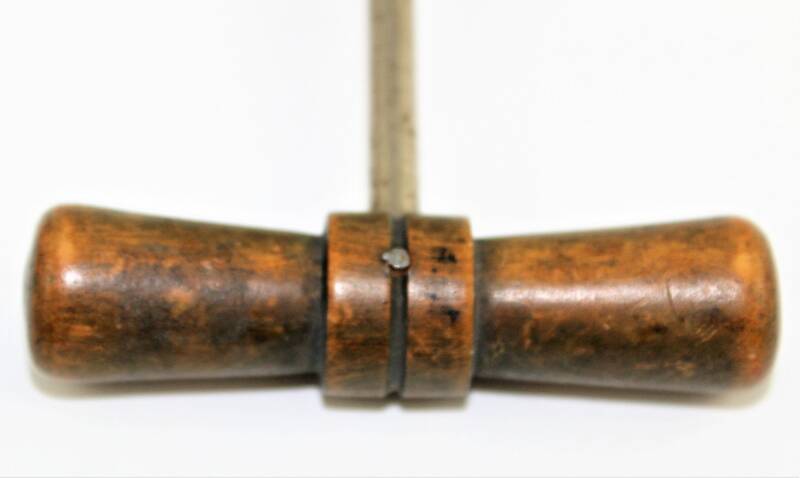 Measures; 4” long, 3” & 2 ¼” wide at handle. 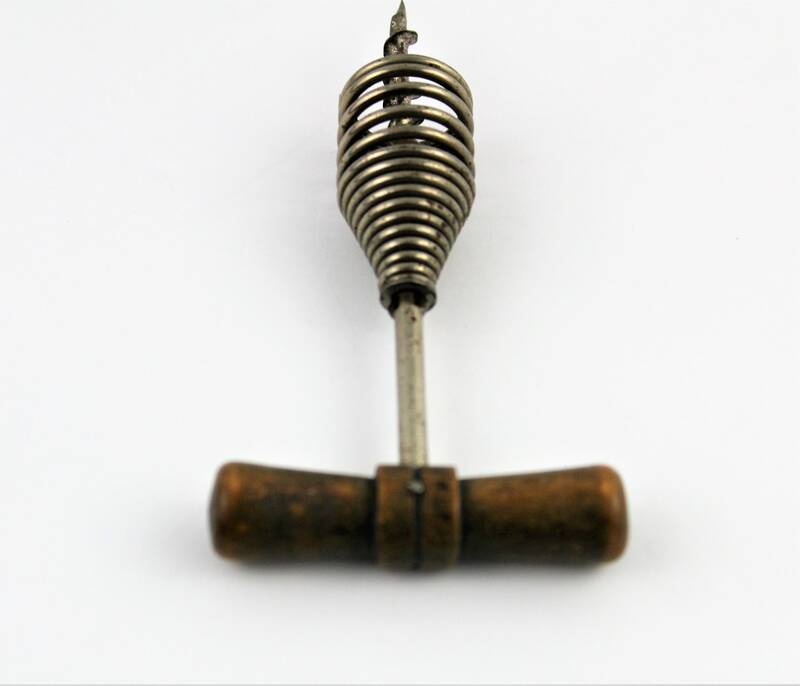 Condition; Good with strong spring and light wear.